There's only one way to celebrate DJ-ing a show with yourself! 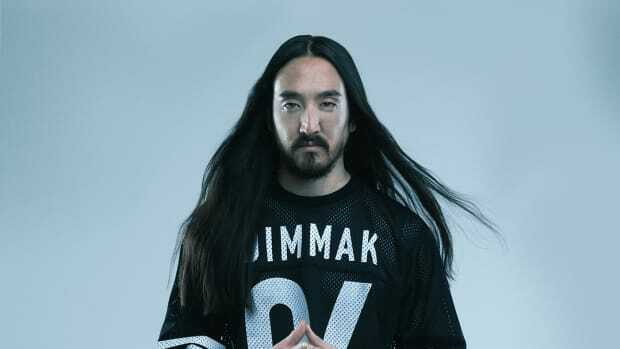 Steve Aoki is a Grammy-nominated producer and DJ who has been a pioneer in the electronic music industry since his first release in 2010. Throughout the years, some of his other revolutionary hits have included "Delirious (Boneless)" feat. Kid Ink with Chris Lake and Tujamo, "ILYSM" with Autoerotique, and "Just Hold On" with Louis Tomlinson. 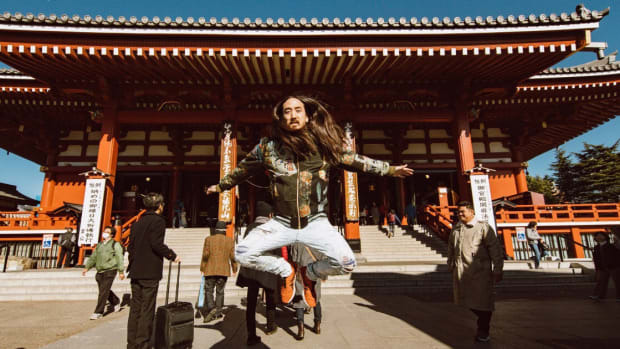 Aoki is constantly on the move, averaging over 250 tour dates per year. 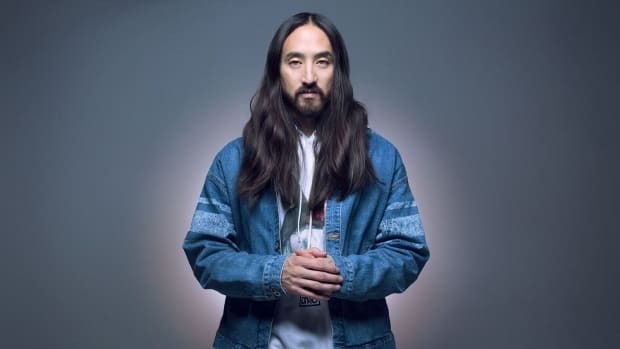 Aoki is also the founder of Dim Mak which is a record label, events and lifestyle company, and line of apparel which launched in 1996 and now has over 900 singles or albums released under its name. 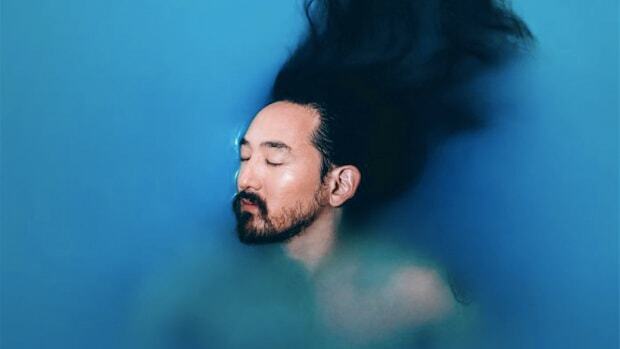 While not producing music or on tour, Aoki has raised and donated hundreds of thousands of dollars to various charities, including his own, Aoki Foundation. 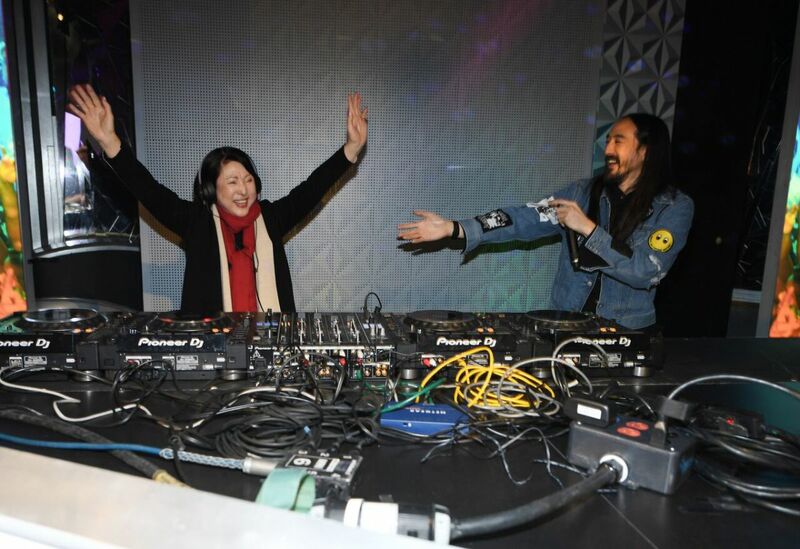 Following the caking, Aoki threw a small set for a small group of fans that were able to attend the event. Desiigner as well as Aoki&apos;s mother, Chizuru. Afterwards, the international DJ was able to meet and interact with fans at the VIP event. 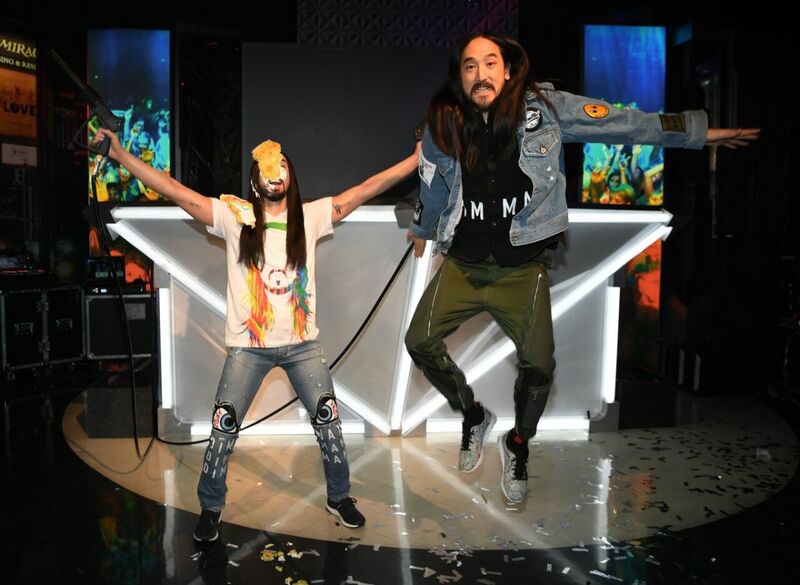 Over 200 measurements were taken on Aoki in order to perfect his wax figure. 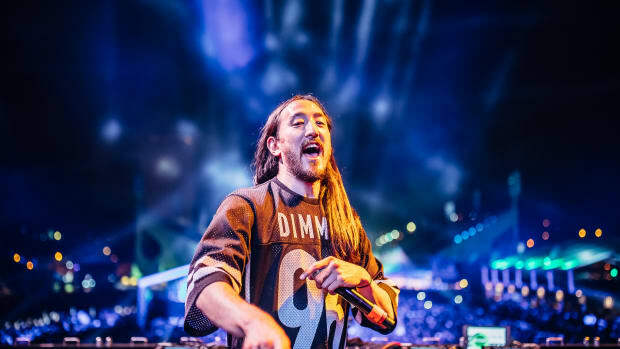 It even wears custom jeans from Dim Mak! Now, the completed version joins many others at the Las Vegas location including Justin Bieber, Bruno Mars, and Miley Cyrus. 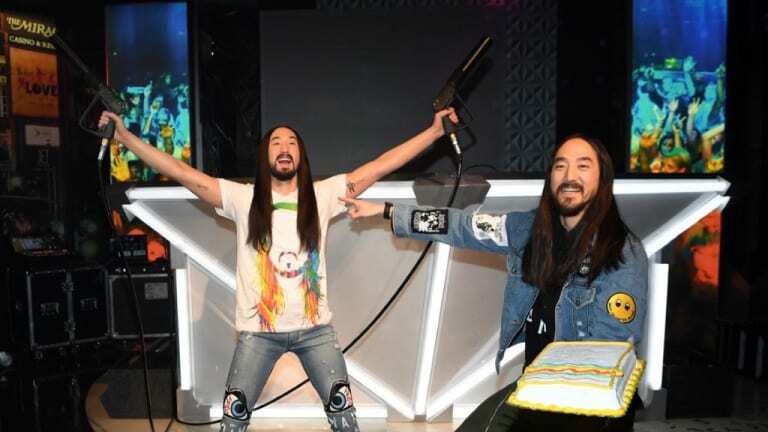 Having a wax figure is a huge honor for Aoki, especially due it being in Vegas, where he plays many shows. "To be on the Strip at Madame Tussauds, where my fans can visit and get behind the decks with my wax figure, is a big deal. I’m going to come by every day and check myself out." If you haven&apos;t had the chance to meet the legend himself, take time to stop by Madame Tussauds in Las Vegas to snap a pic with the (almost) real deal! 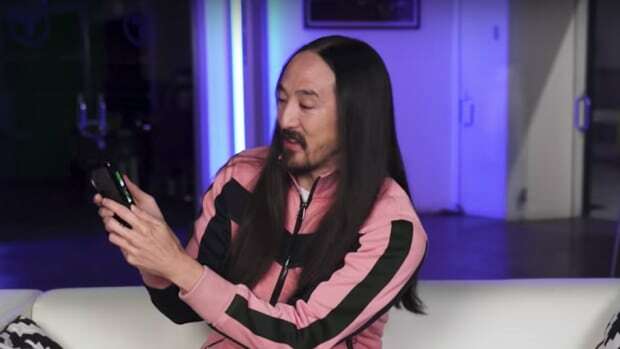 Steve Aoki's new edit of Henry Fong and Vlien Boy's "Pop It Off" is available for a free download today.